For information purposes, g = 9.80665 is used. 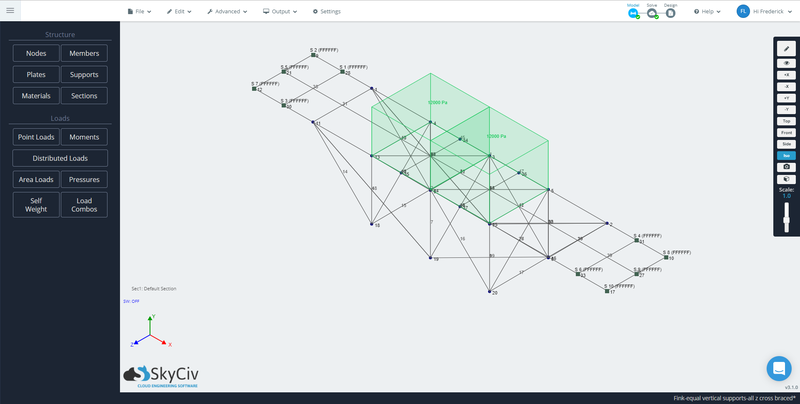 The structure is a 30-node, 48-member frame structure supported by fixed supports. 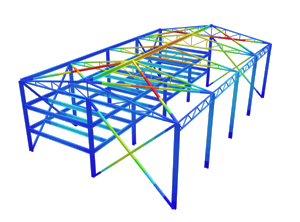 The building consists of general section beams made from steel. * due to general sections being used, the results for stresses cannot be obtained.